The concrete mix design involves various steps, calculations and laboratory testing to find right mix proportions. 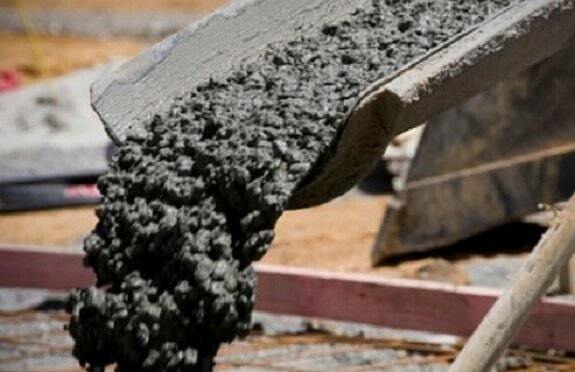 This process is usually adopted for structures which requires higher grades of concrete such as M25 and above and large construction projects where quantity of concrete consumption is huge..
Benefits of concrete mix design is that it provides the right proportions of materials, thus making the concrete construction economical in achieving required strength of structural members. As, the quantity of concrete required for large constructions are huge, economy in quantity of materials such as cement makes the project construction economical. Concrete Mix design of M20, M25, M30 and higher grade of concrete can be calculated from example below. (d) Aggregate are assumed to be in saturated surface dry condition. Himsworth constant for 5% risk factor is 1.65. In this case standard deviation is taken from IS:456 against M 20 is 4.0. Based on experience, adopt water-cement ratio as 0.5. 383.2 kg/m3 > 300 kg/m3, hence, OK. This value is to be checked for durability requirement from IS: 456. In the present example against mild exposure and for the case of reinforced concrete the minimum cement content is 300 kg/m3 which is less than 383.2 kg/m3. Hence cement content adopted = 383.2 kg/m3. Maximum cement content = 450 kg/m3. Note 1: For every ±0.05 change in w/c, the coarse aggregate proportion is to be changed by 0.01. If the w/c is less than 0.5 (standard value), volume of coarse aggregate is required to be increased to reduce the fine aggregate content. If the w/c is more than 0.5, volume of coarse aggregate is to be reduced to increase the fine aggregate content. If coarse aggregate is not angular, volume of coarse aggregate may be required to be increased suitably, based on experience. Note 2: For pump able concrete or congested reinforcement the coarse aggregate proportion may be reduced up to 10%. For trial -1 casting of concrete in lab, to check its properties. It will satisfy durability & economy. For casting trial -1, mass of ingredients required will be calculated for 4 no’s cube assuming 25% wastage. Since the aggregate is saturated surface dry condition hence no correction is required. The mix proportion as calculated in Step 6 forms trial mix1. With this proportion, concrete is manufactured and tested for fresh concrete properties requirement i.e. workability, bleeding and finishing qualities. Mix is cohesive, workable and had a true slump of about 25 mm and it is free from segregation and bleeding. So modifications are needed in trial mix 1 to arrive at the desired workability. To increase the workability from 25 mm to 50-75 mm an increase in water content by +3% is to be made. The corrected water content = 191.6 x 1.03 = 197.4 kg. Which also satisfies durability requirement. For casting trial -2, mass of ingredients required will be calculated for 4 no’s cube assuming 25% wastage. Mix is very cohesive, workable and had a true slump of about 60 mm. It virtually flowed during vibration but did not exhibit any segregation and bleeding. So , it has achieved desired workability by satisfying the requirement of 50-75 mm slump value . Now , we need to go for trial mix-3 . In case of trial mix 3 water cement ratio is varied by +10% keeping water content constant. In the present example water cement ratio is raised to 0.55 from 0.5. An increase of 0.05 in the w/c will entail a reduction in the coarse aggregate fraction by 0.01. Water content will be kept constant. For casting trial -3, mass of ingredients required will be calculated for 4 no’s cube assuming 25% wastage. Mix is stable, cohesive, and workable and had a true slump of about 75 mm. Now , we need to go for trial mix-4. In this case water / cement ratio is decreased by 10% keeping water content constant. A reduction of 0.05 in w/c will entail and increase of coarse aggregate fraction by 0.01. For casting trial -4, mass of ingredients required will be calculated for 4 no’s cube assuming 25% wastage. A local correction due to moisture condition of aggregate is again applied on this proportions. With corrected proportions three concrete cubes are cast and tested for 28 days compressive strength. A summary of all the trial mixes is given in the following Table.